Sign up for a 15-day free trial to watch videos by Joanne Bezzina. With over thirteen years of experience teaching Pilates throughout the Sydney metropolitan area, Joanne Bezzina has amassed a tremendous amount of industry knowledge and experience. 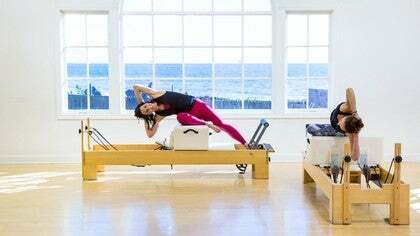 Her deep understanding of Pilates repertoire, anatomy, and biomechanics, coupled with boundless patience and a sense of humor has established her reputation as a highly sought after practitioner. Joanne’s passion for the method continues to deepen as the years progress. When she’s not running Sydney Centred Pilates Studio, Joanne is kept busy within the Pilates community. She was recently announced the winner of the 2017 Pilates Anytime Next Teacher Competition. 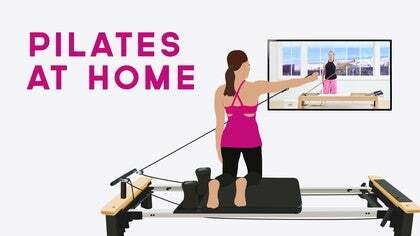 You can find her classes online on the international subscription website, Pilates Anytime. Joanne is also an educator and examiner for international training organization Polestar Pilates, as well as being a Principal Trainer level member with the Pilates Alliance Australasia (PAA). As part of her support to up and coming Pilates instructors, Joanne offers regular study groups to trainee teachers, and she mentors local physiotherapists and Pilates instructors. Passionate about the wider Pilates Community in Sydney, Joanne founded the Sydney Pilates Instructors ‘Meet Up Group’ in February 2016, an initiative designed to develop the Sydney Pilates instructor community. Joanne was invited onto the 2017 conference subcommittee and co-ordinated the ‘meet and greet’ function.